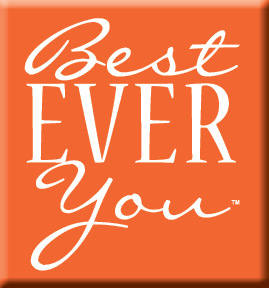 The Best Ever You Network - What Do You See? I'm headed to Boston right now to pick up our 16 year-old kiddo from the airport. Later this week I'm going to be taking our 18 year-old son to college. This morning, as I was getting ready, I caught myself looking in the mirror and saying to myself, "Should I have my hair this long at my age?" and "I've got some wrinkles really showing this morning." Now, in fairness, I didn't have my contacts on yet and that one was a huge giant bed sheet mark... but still. I even told my mirrored-self I need to lose 10 more pounds this morning. There was one point where my sarcastic side was strongly considering wearing my husband's jeans instead of my own. :) Yikes! In this cool happy moment, I caught myself picking on myself this morning. So it got me wondering, as I'm on the Concord Bus to Logan, does everyone do this? Not the bit about the husband's pants, but do we pick on ourselves in the mirror? Do you do this? Look in the bathroom mirror. What do you see? When you look in the bathroom mirror, what is your perception of yourself? Do you see a perfect body? Do you see a gorgeous face? Do you see a smart and capable person? Do you see someone eager to learn? Do you see all you’ve accomplished thus far? Do you see love? Do you see peace? Do you see happiness? What exactly do you see? Some say they see an ugly person. Some say their smile is bad. Some say their fat and don’t have as good of a body as someone else. Some say they aren’t very smart. Some say they aren’t loved. Some say that aren’t happy. When I look at you, I don’t see anything but a beautiful person. When I speak with you, I don’t hear anything but a beautiful person. When you look at you and talk to you, what do you see and hear? We're always wondering what other people think of us, but what exactly do you think about yourself? Grab and pen and paper and head to your mirror. Look in the mirror. What do you see? Write down your first ten thoughts. If you can, sit at a table with another person and have then look at you and write down their first ten thoughts. Ask them to write down their first ten thoughts about you. Do not instruct them to write either negative or positive. Just ask them to write down their first ten thoughts when they look at you. Maybe have a few of your friends do this and see what they say about you. Compare notes. What did you discover? You may even discover a few things about your friends along the way! Are they positive or negative thinkers? Most of us have some combination of positive and negative things we say. On any given day, who knows you may reach for bigger pants too. But try to bring yourself to a point, and perhaps this is deliberate and practiced for a while, where when you come to a bathroom or full length mirror, you say positive things to yourself. If you are a negative, mirror, chat-with-yourself type, here are 10 ways to turn your thinking around. 1. Change the, “I hate my…” talk to Is there anything about me today that would make me be better? How can I best my best? 2. 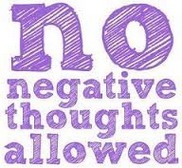 Be aware of negative thoughts and the messages they send to you throughout your body, organs and functions. It’s a journaling exercise to capture the negative thoughts and think about how you can replace them with positive ones, redirect or work on what is negative. 3. When you say, “I’m fat… or I need to lose…” remind yourself that you are in control of you. You got yourself this way and it’s you who changes yourself. No one can make you put down the cupcake really. You are in control of you. 4. When you look in the mirror, have you lost yourself? Have you abandoned yourself? Are you brushing your teeth, washing your face, putting on your makeup, fixing up your hair, putting on your clothes, etc… or are you throwing your hair up in a ponytail and walking around in sweats. I’m not saying every waking moment you have to be “put together” but make it a practice to care about your appearance. 5. Are you in pain? If so, whether emotional or physical, seek assistance. Often this contributes to our self-talk. You also may need to ease up off the mirror if you are in real pain at this moment, for example, a death in the family or something not within your control. 6. Change up your environment. Where are you looking in the mirror? I recently realized that everything around my mirror was such a mess. My cosmetics, hair curler, stand by make up, hair brushes and everything had just taken over my side of the sink. I took the time to clean up, throw up, put away, etc.. and create a clear area that was clutter free and now much more clear. 8. Ladies – How are your earrings? Earrings are such a source of sparkle and joy around your face. Choose your earrings with love, peace, joy, sparkle and fun. 9. Are you old? Are you getting old? I’ve recently caught myself saying “Wow, ok, so I’m starting to look old now.” A wrinkle here and wrinkle there. I see it in pictures. Media trains us to need to stay young. Well guess what… embrace your age, wrinkles and gray. 10. Embrace yourself. You are unique. You are loved. You give love. You are peaceful. New Hay House author, Elizabeth Hamilton-Guarino, founder and CEO of the Best Ever You Network, understands firsthand the challenges life can bring and has worked with thousands across the globe to illuminate their light within and help them live their best life. 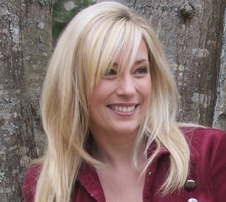 She has a degree in communications and broadcasting; is a life coach, food-allergy expert, and anaphylaxis survivor; and is the host of The Best Ever You Show, which has over one million downloads. Elizabeth took a huge leap of faith in 2009 to leave a seventeen year career in the financial services industry to start The Best Ever You Network and become a talk show host and author. Elizabeth is the author of Percolate - Let Your Best Self Filter Through (Spring 2014, Hay House). Elizabeth lives in Maine with her husband Peter, their four boys, four cats and massive Labradoodle. I love this post! I saw myself in the mirror naked the other day and thought "Damn girl you look terrific!" LOL But then I began to criticize myself over small imperfections. Like maybe I should give myself a bikini wax or maybe I should do more crunches for my belly to be flatter. It started out great and then the spiral down just took over. I think I'll try your method and post my thoughts on my own blog. Hmmm.... This has really got me thinking. Thank you for the inspiration! Hi Cassandra, I hear you! I do it all of the time and am starting to stop myself and have gratitude for all the good and all the flaws. Thank you for taking the time to comment on this post. I hope we can keep in touch. What an excellent post, to remind all of us, to love ourselves first! Our inner most thoughts, feelings, intuition & faith, are what govern our entire day. It reflects on how we interact with others. How can we give the best of ourselves to others...when we don't consider ourselves to be...the best. Hi Brenda, Isn't that the truth! Our inner most thoughts and feelings, intuition and faith govern the entire day! I'm quoting you on that!!! Thank you for visiting the site and hope you will comment on other posts. Hi Komal, I love those words "tune in". I use them often. Thank you for commenting on the post and hope you will keep visiting the site and sharing your thoughts! It doesn't look like you have anything to worry about when I see that picture of you. If I looked like you, I would be very happy. I usually hate myself when I look in the mirror since I've gotten past 50. I'm having a hard time with this aging thing, sad but true. It's very humbling to get older. I am okay with myself for the most part but notice when I am at the gym I cannot stand to see myself in the mirror (doing weight reps or whatever), I tend to look away. I think this speaks volumes. But then I remember how grateful I am for my body, that it works as it should, that it takes me where I need to go, that I am healthy. What a gift that is! It's all about reminding yourself to have a healthy perspective.